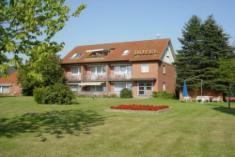 Landhaus An Der Elbe Hotel Bleckede, Hotel Germany. Limited Time Offer! Of a BudgetRead more category, the Landhaus An Der Elbe Hotel has all the comforts such as : Restaurant, Newspapers, Non Smoking Rooms, Television.10 minutes walking distance from the center, this hotel is located at Elbstrasse 5, in the south section of Bleckede, which is ideal to discover the city.This hotel offers a unique service : garden.